Pat A. asks: Were Kamikaze pilots all just volunteers or how exactly did they get selected? During WWII, thousands of Japanese pilots made the ultimate sacrifice for their country by becoming, essentially, flying suicide bombers. But what was it that made these men so willing to lay down their lives in such a way? Were they really bright eyed volunteers eager to sacrifice themselves for the greater good, as the war time propaganda stated, or were they forced into it? Also, why exactly did the Japanese military resort to such a tactic in the first place? For starters, the Japanese military brass were desperate. The enemy had them outgunned, out-manned, and possessed certain critical technologies that Japan didn’t have. To illustrate how dire things were, going back to 1942, in a single day in June of that year Japan lost more airmen than they had managed to train in an entire year just before the war. Adequately training new pilots fast enough simply wasn’t feasible. This resulted in sending out relatively inexperienced pilots in outdated aircraft. There was a reason the Battle of the Philippine Sea in June of 1944 became nicknamed “The Great Marianas Turkey Shoot” by the Allies. to use his toe to pull the trigger [of his rifle] while pointing the gun precisely at a certain point under his chin so that the bullet would kill him instantly. He was supposed to use this technique if he was trapped in a cave or in a trench surrounded by the enemy. If he did not kill himself but tried to escape, he might be shot from behind, because his superiors and some comrades believed in the state dictum that one must never be captured by the enemy. That said, it was not Okamura, but then Vice-Admiral of the Japanese Navy, Takijiro Onishi who is credited with creating the first squadron of kamikaze pilots. Onishi reportedly approached his superiors to ask to create a suicide squad and was granted permission on one condition, he was only allowed to recruit volunteers. However, the official story of droves of zealous volunteers clamoring to sign up has been questioned by many historians, particularly with firsthand accounts from actual pilots popping up since, painting a decidedly less patriotic or eager tone. Further, many of the “boy-soldiers” who ended up becoming kamikaze pilots were brutally treated during their training, to the point that, based on firsthand accounts from the trainees, many lost any sense of patriotism. For instance, Irokawa Daikichi stated he was “struck on the face so hard and frequently that [his] face was no longer recognizable… I was hit so hard that I could no longer see and fell on the floor. The minute I got up, I was hit again by a club…” Officially, the purpose for this extremely brutal “training” was to instill in the soldiers a “fighting spirit”. It is easy to talk about death in the abstract, as the ancient philosophers discussed. But it is real death I fear, and I don’t know if I can overcome the fear. Even for a short life, there are many memories. For someone who had a good life, it is very difficult to part with it. But I reached a point of no return. I must plunge into an enemy vessel. To be honest, I cannot say that the wish to die for the emperor is genuine, coming from my heart. However, it is decided for me that I die for the emperor. While there certainly were those who were willing to volunteer to die for emperor and country, and many more willing to die in this way simply because they felt, somewhat correctly, that they were the last line of defense to protect their families and friends at home, in truth many seem to have simply been pressured into it. So what tactics were specifically used to convince the volunteers? As noted in Mako Sasaki’s paper, Who Became Kamikaze Pilots, and How Did They Feel Towards Their Suicide Mission, published in The Concord Review, some men were recruited to the program by way of a simple questionnaire. The questionnaire comprised of a single multi-choice question that asked: “Do you desire earnestly/wish/do not wish to be involved in kamikaze attacks?” All the men had to do was circle the statement they most agreed with. The kicker being that although the men were free to say they didn’t want to take part, they still had to sign their name to it. As Sasaki points out, the pressure on young men to do something for their country during that time was significant, and the threat of retaliation if you said no was very real, as was the fear that there would potentially be retaliation against not only the soldier, but his family back home. According to the aforementioned Emiko Ohnuki-Tierney, in Kamikaze Diaries, other methods of encouraging men to volunteer included putting them in a room filled with their peers. After a lengthy speech on patriotism, it was asked that anyone who didn’t wish to be a kamikaze step forward. As you can imagine, volunteering by default in this way was extremely effective. Beyond any loyalty to country and emperor, few would want to appear so cowardly, or endure the shame of not being willing to die when their fellow soldiers were giving their own lives to protect their homeland, both those present when volunteers were being asked for and ultimately those who’d already fulfilled their suicide missions. This latter point was frequently written about in the letters and journals from many of the volunteers as to why they ultimately chose to do so. If a soldier had managed to be courageous enough not to volunteer, he would have been consigned to a living hell. Any soldier who refused would become persona non grata or be sent to the southern battlefield, where death was guaranteed. Some soldiers actually managed to say no, but their refusal was disregarded. Kuroda Kenjirō decided not to volunteer, only to be taken by surprise when he found his name on the list of volunteers for the Mitate Navy tokkōtai corps; his superior had reported proudly that all the members of his corps had volunteered. 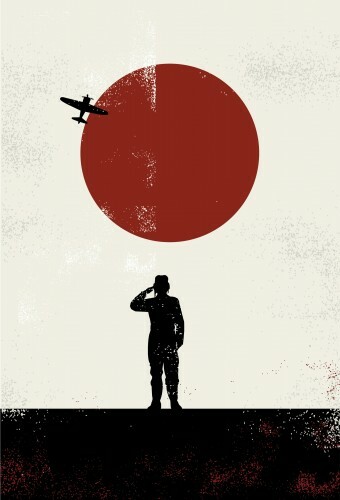 All that said, in an interview with an ex-kamikaze pilot named Tadamasa Itatsu, he notes that some young men were willing to lay down their lives simply because they genuinely “believed their actions could save their country from disaster“. This all might leave you wondering how effective the kamikaze program was for the Japanese. According to the U.S. Air Force, nearly three thousand kamikaze attacks took place, managing to damage 368 ships, sinking 34 of them, while killing 4,900 navy soldiers and wounding another 4,800, but with only about 14% of attacking kamikaze pilots managing to hit a ship. So, in that sense, plane for plane, it was tragically successful considering the Americans had radar, superior numbers and planes, and the kamikaze pilots were often woefully inexperienced. I cannot predict the outcome of the air battles, but you will be making a mistake if you should regard Special Attack operations as normal methods. The right way is to attack the enemy with skill and return to the base with good results. A plane should be utilized over and over again. That’s the way to fight a war. The current thinking is skewed. Otherwise, you cannot expect to improve air power. There will be no progress if flyers continue to die. The Japanese also had a group of one manned torpedo like submarines called kaitens that were also used for the same purpose as the kamikaze pilots- essentially, humans were the guidance system. These kaitens were just modified torpedoes that allowed the person inside to control them. They also featured a self destruct mechanism if the person failed in their mission. This was necessary as there was no way for the person inside to get out of the torpedo once sealed in. Early models did include a mechanism to escape once the torpedo was aimed correctly, but not a single soldier seems to have ever used this feature, so it was quickly abandoned. Each person who died as a kaiten pilot would earn their family ¥10000 (about $120 today). Kaitens were ultimately not very successful primary because they could not be deployed very deeply and were stored on the outside of the submarines. This isn’t so much a problem for the kaitens as it was for the submarines carrying them who would have to stay very near the surface. This resulted in an average of about eight submarines carrying kaitens being destroyed for every two ships destroyed by the kaitens. Each kaiten was about 50 feet long; could reach a maximum speed of about 30 miles per hour; and contained a warhead at the nose. The term “kamikaze” roughly translates to “divine wind”, which was previously a name given to a legendary typhoon that helped stop a Mongol invasion during the 13th century. In a documentary entitled Wings of Defeat, in which several kamikaze pilots who otherwise survived their mission tell their stories, one particularly frank pilot admitted that his first reaction to being told he had to fly the next day was to say “Oh, I’m screwed”. Takijiro Onishi and Motoharu Okamura both ended up taking their own lives after the war ended. According to human psychology, it totally understandable that some would be crazy enough to go but I can guarantee you that most thought like the survivor that said ““Oh, I’m screwed”. Screwed big time I’ll say ! Does anyone know what the official name fora kamikase corps was. I need it for an assignment and I can’t find it anywhere.